How Businesses Can Perform Their Social Responsibility? In today’s time of uncertainty and volatility, businesses face a lot of trials and tribulations. With rapid technological developments, demographic shifts, sociopolitical instability, and slow economic growth maintaining business to the top position is difficult. Somehow the business milieu looks as if it in a position of the unending disorder. However, there are many entrepreneurs that are following the business model of corporate social responsibility (CSR). This model aids them to be socially responsible to itself, its stakeholders, and the public. 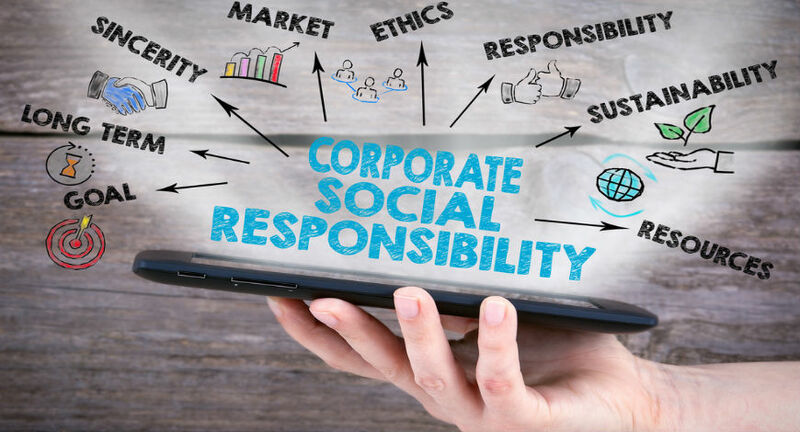 It is also known as corporate citizenship, and with the help of its business can be cognizant about the degree and type of impact they are providing in all attributes of society including economic, social, and environmental. The Sparo online application has been designed on this model whose founder and CEO is Rob Sobhani, a famous author and business professional. He once said that we as human beings are charitable, but maybe we don’t have the time for charity donations. However, with this model you can shop things with a purpose as approximately 4% to 10% goes to the charity. Hence, it makes your shopping more pleasurable as you are performing your responsibility towards society. By utilizing CSR programs, charity, and volunteer endeavors, companies can do well to society whilst enhancing the reputation and sales of their own brands. The CSR activities can facilitate forming a strong as well as a better relationship between employee and corporation. It can boost self-esteem and can aid employees and employers equally to sense more attachment with the world or society around them.